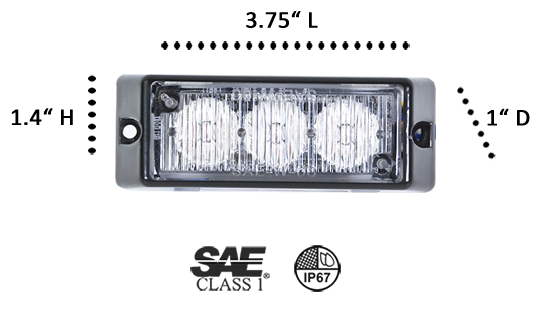 The surface mount HALO 3 has 3 Generation IV 3-Watt LEDs and is the smallest of the interior/exterior HALO Series 3-4-6, the only difference among them being the number of LEDs/light. They have impact resistant and shatterproof TIR lenses made of durable polycarbonate that stay clear and shine bright even through heavy fog and bad weather. The housing is also made of strong, high-tech polycarbonate and comes with a heat-resistant aluminum backing. 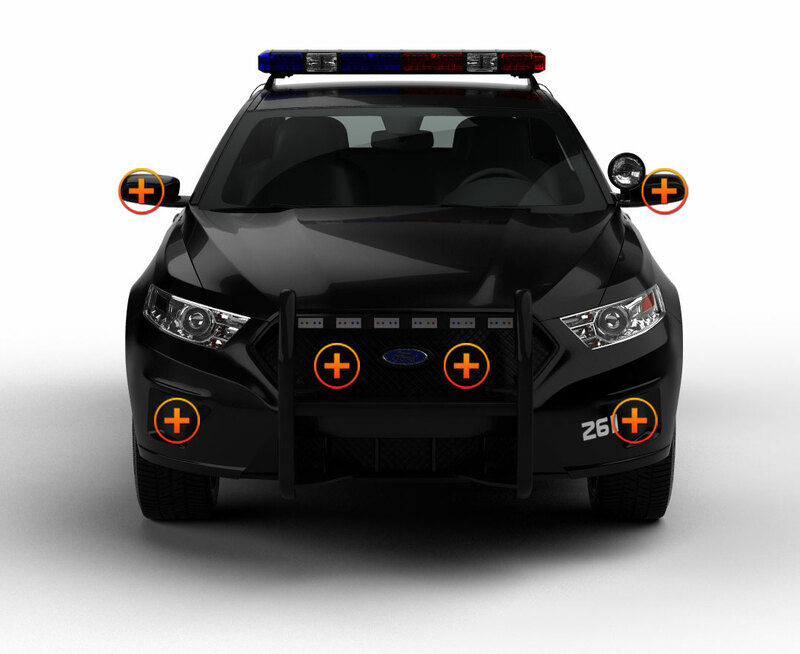 These surface mount emergency lights give you a lot for your money; mount them on any flat surface inside your emergency vehicle on the deck or dash, or outside on grilles, bumpers, roof, or body. Never hesitate to mount any of the HALO Series lights as high or as low as you want because they are sealed with epoxy, 100% waterproof, and vibration resistant. It’s easy to hardwire them to an existing light or siren system with the color-coded wires (Pos, Neg, Sync, Pattern, HI/LO) that come wired into each light, and they can be synchronized, or wired to flash simultaneously or to alternate. 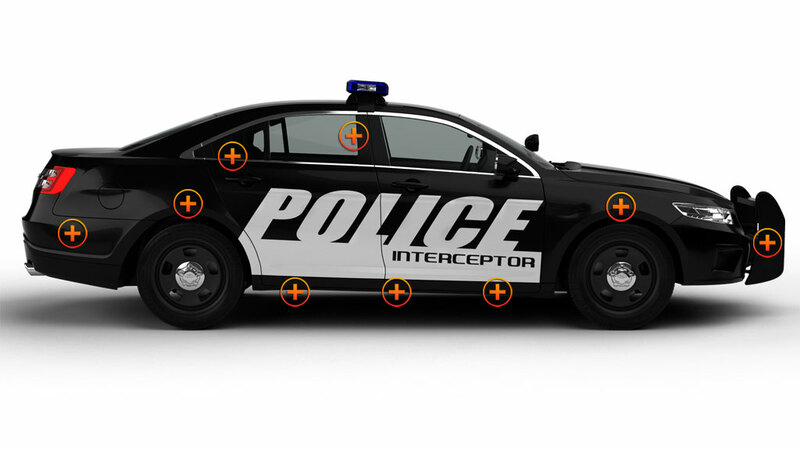 The “3” has 22 flash patterns and comes with pattern memory. Choose from 5 solid colors. It comes in black with mounting flange, hardware, and gasket. 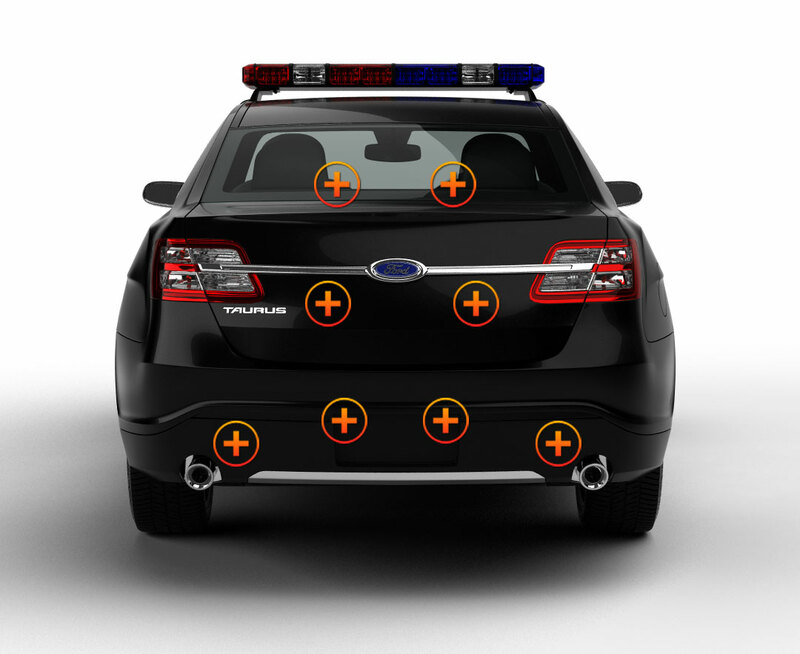 Most of our customers buy surface mount lights in pairs keeping the lights symmetrical around their vehicles. ETD always recommends having a EVT specialist install our lights, but if you decide to DO-IT-YOURSELF then be sure to check out the Installation Guide found in the Knowledge Base section of our site. Of course, if you have any problems or just want to know more about our products, we at Extreme Tactical Dynamics are always ready to answer any of your questions. Just contact us through our website or through your favorite social network.